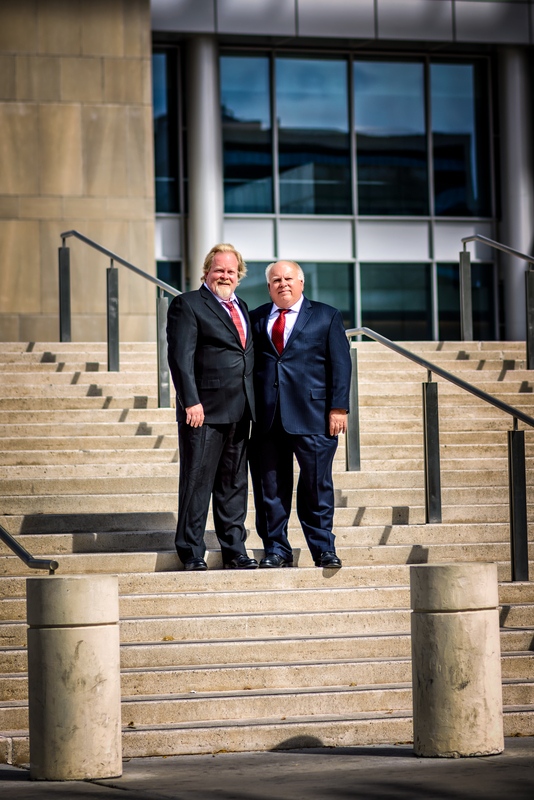 Las Vegas personal injury lawyer Robert M. Apple has been dedicated to protecting the rights and interests of those who have been injured or killed as a result of negligence or intentional misconduct for more than 30 years. He represents clients in connection with personal injury accidents, car accidents, motorcycle accidents, trucking accidents, slip and fall accidents, dog bites, product liability, medical malpractice, and nursing home abuse or neglect. As a dedicated Las Vegas accident and injury lawyer, he provides his client with a level of skill, knowledge, experience, and loyalty that is second to none. If you or a loved one has been injured or killed in a Las Vegas personal injury accident, contact our office at (702) 646-0085 today to schedule an appointment with one of our dedicated Las Vegas accident and injury attorneys. A knowledgeable and experienced Nevada personal injury lawyer to advocate on your behalf. For nearly 40 years, Robert M. Apple has focused his practice on handling personal injury matters, including car accidents, motorcycle accidents, trucking accidents, slip and fall accidents, dog bites, product liability, medical malpractice, and nursing home abuse or neglect. As such, he has the knowledge and experience necessary to handle personal injury cases in an efficient and effective manner. A skilled negotiator and litigator. As a result of his extensive experience, Las Vegas personal injury lawyer Robert M. Apple has the skills and knowledge necessary to persuasively advocate on his clients’ behalf, whether at the negotiating table or in a court of law. Not only is he well-versed in communicating with insurance companies and opposing counsel in order to seek an early and favorable settlement, but, in the event that a favorable settlement is not possible, he is also a tenacious litigator with extensive trial experience. Mr. Apple is rated A-V by Martindale Hubbell, the premiere attorney peer rating organization in the United States, which is its highest rating, which is only achieved by a small percentage of lawyers nationally. Robert Apple is also a member of the Million Dollar Advocates Forum, recognized as one of the most prestigious groups of trial lawyers in the United States. Exceptional client service and personal attention. From the very first client consultation and throughout the duration of the client relationship, clients receive individual attention. Clients will meet personally with a Las Vegas accident attorney – not a legal assistant – during their initial consultation, and phone calls and emails are returned promptly. We take the time to ensure that you understand all of the legal issues involved and we will keep you abreast of any case developments. No legal fee unless you win. We represent clients on a contingency basis, which means that you don’t pay unless you win. If your case reaches a successful resolution, only then will we collect a portion of your ultimate money damages. Because you are not required to pay any upfront legal fees, you can focus on your physical and emotional recovery while you await financial recovery. Comfortable environment. Clients appreciate Robert M. Apple’s friendly and personable approach to client representation. You will instantly feel at ease in his comfortable office, and will feel comfortable entrusting him to handle your legal issues with skill, knowledge, and compassion. Loyal legal representation. Because of our commitment to service and attention, clients know that we have their best interests in mind and often come to us with future legal needs. Moreover, Robert Apple is a long-time Las Vegas resident, committed to helping Las Vegas communities. He was born and raised in Las Vegas, Nevada, and is a graduate of Las Vegas High school (now known as the Las Vegas Academy). After attending college at Pepperdine University, he earned his J.D. from Southwestern University School of Law in Los Angeles, California. Thereafter, he returned to Las Vegas, where he has continued to practice law since 1975. Robert M. Apple is an active participant in local bar and professional organizations, including the Clark County Bar Association, State Bar of Nevada, Nevada Justice Association, (formerly Nevada Trial Lawyers), and American Association of Justice (formerly American Trial Lawyers). If you have been injured or a loved one has died as a result of a personal injury accident, contact us today at (702) 646-0085 for a free, no-obligation consultation with Las Vegas accident and injury lawyer Robert M. Apple.